Andrea Milano is a trusted advocate who advises and represents clients across a broad range of industries, from healthcare and hospitality to manufacturing and technology, on labor and employment law matters. 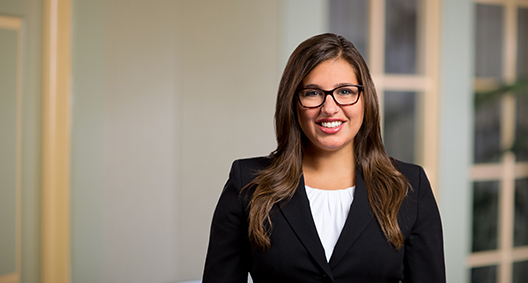 Having practiced labor and employment law for five years in California, she is well versed in both federal and California wage and hour law, and has represented clients in single plaintiff and class action litigation. With a strong focus on the bottom line, Andrea strives to provide thorough, accurate, and practical advice that meets her clients’ business needs. Negotiated union concessions totaling $1.5 million as lead negotiator representing skilled nursing facility in successor contract discussions. Actively managed discovery and motion practice for 60,000-person putative class action alleging gender discrimination against international software company. Provides direct advice and counsel on day-to-day labor and employment law matters, including conducting payroll audits; developing, drafting, and revising handbooks and policies; and managing employee performance issues. Served as lead negotiator bargaining with SEIU on behalf of nonprofit organization in successor contract while focused on maintaining budgetary constraints. Represented dairy product manufacturer in first contract negotiations with the Teamsters that led to decertification petition being filed. Represented hospital facilities throughout successor contract negotiations with nursing unions focused on obtaining concessions to stay profitable. Represented various employers throughout unfair labor practice proceedings, up to and including trial. Served as lead associate, managing all aspects of discovery, class certification, motion practice and settlement of 7,000-person certified class action in the Central District. Argued motion for summary judgment, obtaining dismissal of employee’s individual discrimination and retaliation claims in California Superior Court. Took and defended depositions of named plaintiffs, company witnesses and experts in both individual and class action litigation, leading to successful dispositive and pretrial motion practice. Represented employers against claims of discrimination, harassment, retaliation and violations of wage and hour law under both federal and state law and in individual, class and representative actions. Served as second chair in bench trial to recover $60,000 for the beneficiaries of a decedent’s estate in probate matter with professional responsibility components. Conducted direct examination of one witness.